Chick and Hen at The Inn is a collaboration between a baker and an innkeeper. One crafts the finest sweets and savories out of the purest of ingredients, the other creates thoughtful experiences and lasting memories for those who wish to indulge. One truly compliments the other. Guest Breakfast is heightened by savories such as the bakery's Applewood Bacon, Swiss & Thyme quiche - and sweetened by pastries in unimaginable flavors. Dessert becomes the main meal with Peach Mascarpone Cheesecake, Eclairs with Vanilla Pastry Creme & Chocolate Glaze, a Pear Almond Cream Tart, or perhaps a Flourless Chocolate Cake - our signature dessert. Call ahead to order your favorite Cake or Tart and celebrate a special event while staying with us. Open to the Public, The Bakery to-go tempts your trip home with selections such as Pecan Lace Cookies with Orange Buttercream Filling, Giant Gingersnaps, Raspberry Almond Linzer Bars, Bittersweet Brownies, Coconut Honey Macaroons, and more. Collaborations are a beautiful thing. 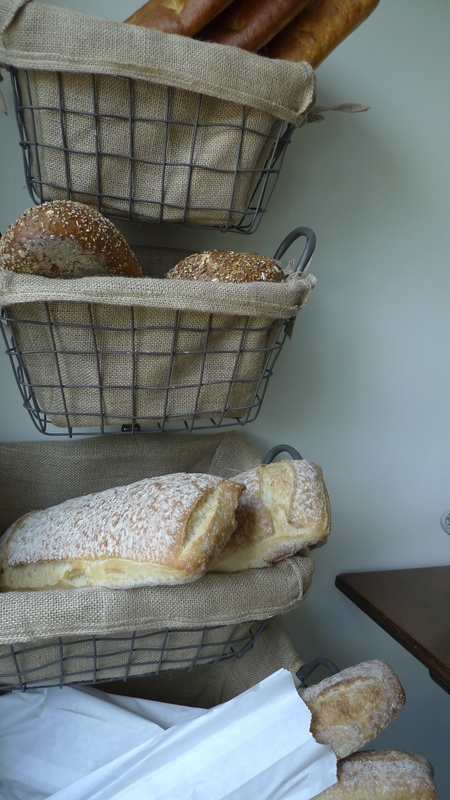 Current Selections: Fresh At The Bakery To-Go! When choosing to host your own special occasion from home, our extensive Bakery Ordering Menu is available for larger affairs. Make the event planning easy and delicious by simply ordering 3 days in advance and picking up right at the Inn.